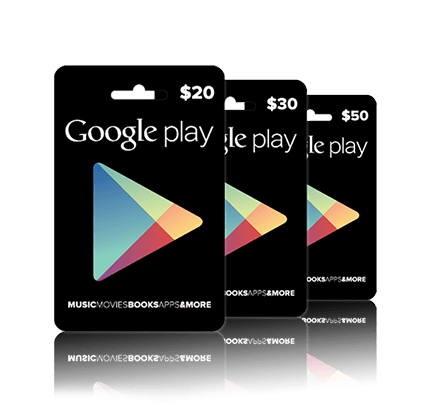 Play Store Gift Cards Gifting – Just In Time For The Holidays! Earlier this month Android Police did a teardown on a new version of the Google Play Store app and found what looked to be indicators that Gifts and Family Sharing were coming to the Play Store. Last night the gift part of that functionality was released to the web version of the Play Store! The gift must come from either a credit card or your Paypal account and you can’t gift any existing credits you have to anyone else. Currently you can only send gifts to users within the United States but I wouldn’t be surprised to see it start popping up in other areas too. Ironically I was just talking with a friend of mine the other day about how annoying it was to have to order a physical card for the upcoming Droidsgiving Giveaway we are a part of. We both commented on how it didn’t make sense to print and ship a gift card when Google could just as easily send us an email with a code that we could then forward to the winners of the giveaway. Wouldn’t you know it, Google releases just what we were wanting just a few days after we had already ordered the cards. Fortunately for all of you, Google has rolled out this new feature just in time for the holidays so that you don’t have to order the cards the old fashioned way like we did! We will probably be taking advantage of this awesome feature for upcoming giveaways! Get your gift giving on in style and hit the link below to send someone some Play Store credits! Stagefright: Hacked in 20 seconds! End of Summer Tech Giveaway! Fossil Releasing Intel Powered Android Watch! Roy likes to dabble in all things Android and contributes everywhere he can. He owns the site rwilco12.com and its accompanying forum, he develops his own apps and ROM’s, is a Moderator and Recognized Developer on XDA-Developers.com and is the VP of Public Relations for AndroidFileHost.com. CES 2019 Recap and Impressions! Ticwatch S – One Year Later and Still My Main Watch! Why I Can’t Live Without Plex! To Buy Or Not To Buy (Moto G6 Plus Review)? Is Motorola’s Moto G6 Worth $250? Maintaining the site takes a lot of time and resources. Your donations go towards improving the site and helping to pay for additional storage space and bandwidth. Thank you for your support! Six Months With the Pixel 2 XL – Was It Worth It?